A personalised photo jigsaw puzzle made from 15 pieces is ideal photo gift for kids! Personalised jigsaws pose real joy when putting the puzzle pieces together. 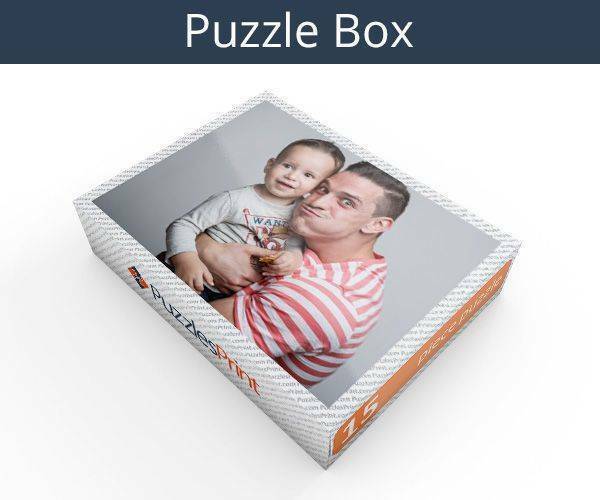 Personalised picture puzzles are great to give as gifts because they are one-of-a-kind; you can be sure that there won’t be any other jigsaw puzzle like yours. 15 piece photo jigsaw puzzle is made from extra large puzzle pieces and can be solved with in minutes, it is great for kids and promotions! 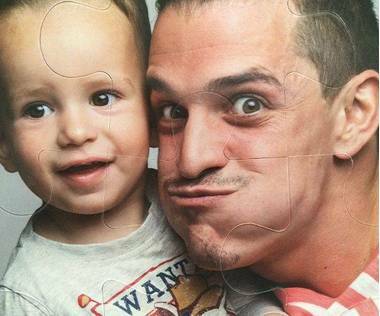 Jigsaws can bring a great deal of pleasure to people of all ages and when there is a young child involved it is an ideal way to help them learn. They will learn how to recognize items, and will also aid manual dexterity when they are putting the pieces together. When the jigsaw has a picture of something close to the heart of a child, they will be eager to do it and will want to repeat the process over and over again. 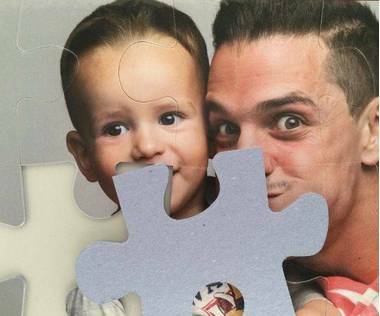 A 15 piece personalised jigsaw will be suitable for a child old enough to recognize objects and able to work out how pieces’ slot into place. Normally this will be at around 2 years of age although they may still need a little help. 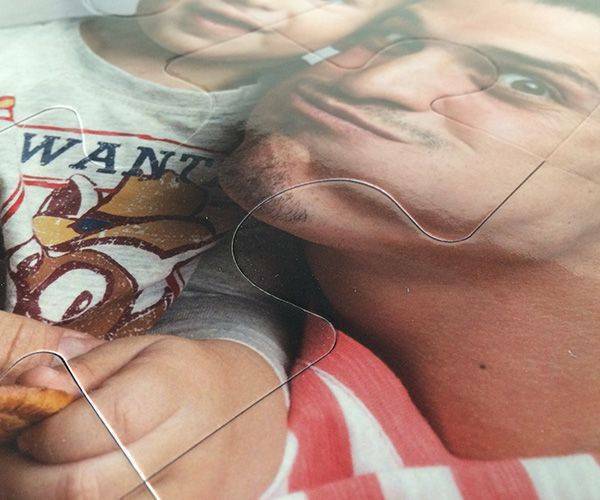 The photograph used will be on the lid of the box so this should help them and as the pieces are 2mm thick, they will be easy to maneuver into place and still be strong enough not to snap. As a child of around 2 does not always have a great attention span, 15 piece puzzle will be great. By the time a few have been put into place, they will be able to realize that the jigsaw they are doing is going to be the same as the picture on the box. This will be all the encouragement they need to continue. Ordering will not take long and you will get full instructions on what to do on the website. All you have to do is select the picture you want, and upload it to the site. Put it in place and then find out how to add a message. 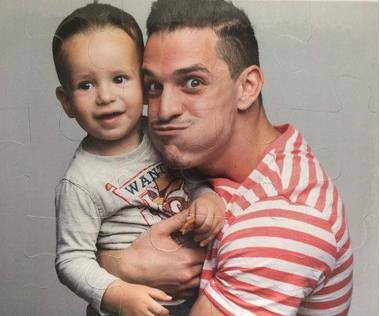 It could be that this will be left out as the child is young. After that, order and pay, then sit back and wait for it to arrive. 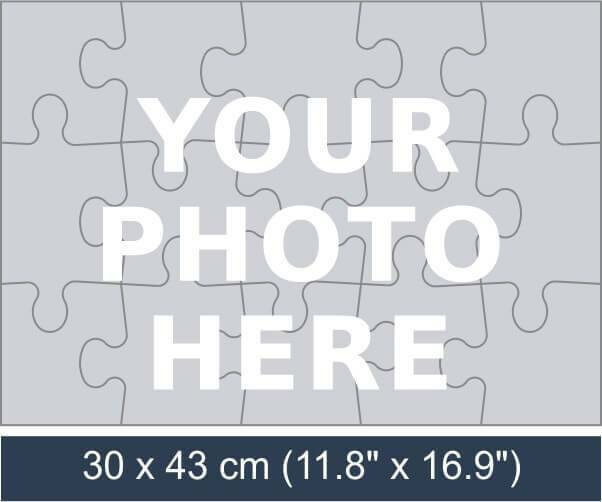 When finished the 15 piece photo jigsaw will measure 30 cm x 43 cm and can be left assembled and turned into a picture for the wall. It is unlikely that anyone else will have purchased such a unique present and it will not end up in the bin due to lost pieces or the charity shop as the child has outgrown it. Third puzzle I have bought in the past few months. Excellent service. Prompt, really prompt, delivery. Beautifully presented. A really great gift. Exceeded our expectations. Good quality, well-packaged. perfect for our granddaughter. Snabb service och väldigt rolig present att ge bort.